UMass upgrades its concessions choices at McGuirk. The MAC site has Tuesday's MAC coaches teleconference audio. Bob McGovern reports on Whipple's comments. Mike Chiarelli of Maroon Musket reports on Marquis Young's increasing presence in the UMass backfield. Mark reports Khary Bailey-Smith is out for the season with a knee injury. Kelton Brackett is also injured. Matty Vautour reports on the loss of Khary Bailey-Smith and Jalen Williams. Speedy freshman Andy Isaella will see an expanded role. John Robinson-Woodgett will be a rare two-way player in FBS football. Andrew Cyr of the Daily Collegian has a post on UMass' injury situation. Cyr says Saturday is a must win situation for the Minutemen. A FIU student newspaper writer says the Panthers should win against "bottom feeder" UMass. CBS Sports has UMass-FIU as one of its top-10 under-and-over picks. Hustle Belt's Brandon Fitzsimons picks the Minutemen over the Panthers. Cleveland.com has the MAC by the numbers after week #4. Bowling Green goes for their 13th straight Division win. QB Tom Woodson has turned around Akron's season. OT, but 247Sports has UMass #1 in the A10 and #17 nationally in basket recruiting for 2016. UMass has their game notes for FIU up. Dan Malone says FIU is a must win situation for UMass. Matty Vautour reports the college football playoff could see new blood. The Miami Herald reports McGuirk Stadium and Florida International the school were started on the same year. Sports Chat Place takes UMass and the points against the Panthers. Brian Kelley said the Minutemen's trick play was difficult to defend. Cleveland.com says Kent State is playing much better. They also have the good and the bad from week #4 in the MAC. The MAC and ESPN announced an enhanced regional TV deal. Fanatics offers a customized UMass football jersey. OT, but UMass just closed its biggest basketball recruiting haul in years. Dan Malone looks at the future UMass roster. Steve Hewitt has the two-hit wonder. Every year I wonder why there isn't a UMass Hoops fan blog. Sons of Massachusetts seems to be deceased. Fear the Triangle soldiers on in hockey. A Minutemen basketball fan blog would be fun to read. Maybe the recruiting surge will motivate someone to start one. Mrs Blog an I usually drive down from New Hampshire 5 to 7 times a season to see UMass basketball. Hopefully, there will less snow this year. Lost in the excitement over to visit to South Bend was the news that Taylor Edwards verbaled to UMass. I've blogged about Edwards a number of times before. That gives UMass four three-star players out of six total verbals. That jumps UMass to 10th in the MAC recruiting totals, but 5th in the MAC in three-star recruits. Chose UMass over offers from Colorado State, UConn, Old Dominion and Wake Forest. Dan Malone says UMass wants to reboot its season. Dan says UMass tried to Belichick the Irish and it didn't work. He has three up and three down after South Bend. Mike Caggiano is now the starting Minutemen kicker. Brian Kelley praises the Minutemen. UMass opens as a 3.5 point underdog to FIU. In Vegas Odds, Temple is a 23 point overdog against UCC andColorado +12 against Oregon. Dan reports Notre Dame was geared up to stop the UMass offense and still had trouble with it. FIU was run over by Louisana Tech's Kenneth Dixon. Florida International has injuries in their secondary. LA Tech ran over the Panthers top-rated run defense. Hustle Belt has Toledo #1 in the MAC power rankings. Toledo just missed the AP Top-25 poll. Victor Cruz expects to be active next week. James Ihedigbo was not fined for a late hit against San Diego. Hey UMass fans, we hung with the Irish for the first half. Don't feel bad, that's a really talented Notre Dame offense. Too big and too much team speed for the UMass "D". We missed a couple of plays that would have made it closer. At the end of the first half we dropped a pass over the middle that would have given UMass a first down at least and prevented Notre Dame's last score of the first half. We also missed a chance to score on Frohnapfel's last series. And if I was Kelly, I would have gotten out of the hurry-up and passing a couple of series before he did. He didn't have to keep the pedal to the metal that long. UMass had 450 yards of offense and Ross Comis was 8 for 8 leading the UMass reserves. That pretty much settled who's our 2nd string QB. Another thing we did accomplish was the kicking game was finally decided. Freshman Marquis Young looked good. Andy Isabella did well running back kicks. FR QB James Sosinski made the traveling squad to Notre Dame. Rodney Mills and Khary Bailey Smith DNP due to injuries. Those two would have helped. Whipple needs a couple more years recruiting before we can stand up to a team as good as Notre Dame. No shame in that. Nobody quit. I'm not either. The UMass website has the game writeup, stats and notes. Besides Mrs. Blog and I, there were a number of UMass at South Bend. Dan Malone says UMass started strong, but couldn't keep it close. Dan reports the Minutemen were never in a position to win. Dan runs the numbers from South Bend. Matty Vautour says UMass was overmatched. Matty has notes from the game. The Irish break out offensively. Notre Dame has game notes for both sides. In the game quotes, Kelley said:" You know, hats off to UMass and the way they competed." Colorado won easily over Nichols. Good Morning from Elkhart, Indiana. Today we play college football's probably most storied team. This year's Irish team may be their best since they played Alabama in 2013's National Championship game. Obviously, the Minutemen are a big underdog in this game. We are on national TV. I hope UMass plays motivated and gives the Irish a game today. The national TV exposure could help recruiting and interest in the team. Mrs Blog and I will be there wearing our UMass colors and cheering for the Minutemen. Hope all UMass fans will appreciate the moment and, win or lose, it's another step in building the team. UMass added another three-star recruit a day ago. I'll report on that probably tomorrow. Out of six verbals, four are three-star recruits. I think the future is bright for Minutemen. UPDATE: Irish DT Jay Hanes suspended for the UMass game because of Twitter comments. Dan Malone has five keys to the Notre Dame game. He says the Minutemen face long odds against #6 Notre Dame. Dan reports on how the Minutemen have done in the past against top-20 opponents. Dan and Nick O'Malley visit the Notre Dame Campus. TV and media availability for today's game. Matty Vautour says UMass faces a mountain of a challenge in Notre Dame. 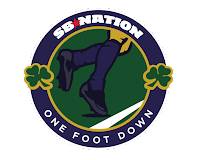 SB Nation says pick the Minuteman over the leprechaun. The Goshen News has five questions about the Irish at game day. The Boston Herald says the South Bend trip puts UMass on the map. Slap the Sign says Notre Dame will cruise to a win. The Sports Bank predicts a 56-17 Irish win. Scout.com says Notre Dame isn't overlooking UMass. The Elkhart News reports the Irish want to avoid a triple option hangover. The MAC will have 13 televised games today, including Western Michigan @ #1 Ohio State. Today's U reports today's FIU vs LA Tech features Conference USA's best offense against the conference's best defense. Underdog Dynasty previews the LA Tech-FIU game. Temple meets a bye week. Good Morning from Dubois, PA, about half way to South Bend. Joe Previte, a 2014 walk-on from Mount Hermon and Brockton HS, is getting significant time on the defensive line. About 4 million football fans are expected to watch Saturday's UMass-Notre Dame game. Dan Malone has notes from Coach Whipple about the Notre Dame game. Matty Vautour has Blake Frohnapfel and the UMass team are excited to be playing at the Golden Dome. Matthias Farley is always read to be the next man up for the Irish. Matty reports the Minutemen are hoping to do well at South Bend. iSportsweb.com previews the Irish-Minutemen game. The Sports Chat Place previews the UMass-Notre Dame game. Our friend, the Boston Globe previews the game. The Boston Herald reports UMass eyes the Irish. Five MAC teams are playing Big10 opponents this Saturday. Cleveland.com asks if assembling a top-tier MAC squad is tougher than a BCS team trying to win a National Championship. Boston College is a 4.5 overdog against NIU. 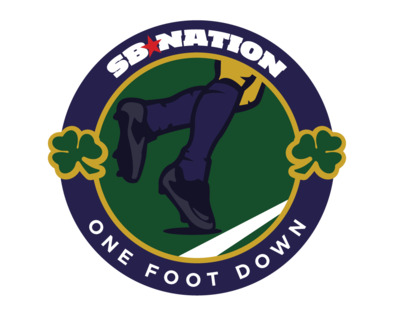 Trading questions with Notre Dame Blog "One Foot Down"
I traded questions with the excellent Irish blog "One Foot Down". Check them out for my comments. Pat Burns from One Foot Down answered my questions about Notre Dame going into Saturday's game against the Minutemen. 1. Notre Dame lost their starting QB Malik Zaire for the season with a broken ankle. Can you tell us how QB Deshone Kizer changes the Irish offense? It's not as large of a step down as most people (even inside the Irish fanbase) may have originally thought, actually. Kizer is well aware of the entirety of the playbook, and has all the skills he needs to put everything together. There's a reason he wasn't the starting QB, however, so the offense will change a bit to minimize the burden that is put directly on Kizer's shoulders. Notre Dame has the offensive line to lean on in the running game, and the wide receivers needed to make tough throws for Kizer look easy. The offense went from a more QB-focused attack under Zaire to a "get the ball to the playmakers" focus under Kizer. 2. The Irish have lost six starters to season-ending injuries. Does Notre Dame have the depth to continue a run for the Playoffs? I can't believe I'm about to write this, with where the Irish were just a few short years ago, but yes I believe they do have enough depth. Brian Kelly has done a great job of recruiting 1 through 85 on this team, so that even the backups' backups are talented football players that can contribute to the team. There's obviously some headaches associated with the inexperience, but knowing that the guys filling the holes in the roster are top level talent makes that a little easier to swallow. 3. How do you feel this about the Irish team current #10 ranking? Too high? Too low? I think the Irish are ranked pretty much in line with what they've shown this season. I think they could be ranked a bit higher than 6th if it was to be based on resume and the eye test, but it's college football, so as long as you're somewhere near the top and take care of business, it won't end up mattering come the end of the season. 4. Obviously, Notre Dame will be a big favorite against UMass. How do the Minutemen fit into the Irish' season? Any chance of a letdown? I think there's certainly chance of a letdown this weekend. The Solid Verbal podcast has the concept of a "letdown look-ahead sandwich", and that's right where the Irish are this week. Coming off of a huge win over Georgia Tech, a team that they prepared for very intensely, and heading into Death Valley next week to take on Clemson, it could be easy for the Irish to look past UMass and get caught with their pants down on Saturday. I think Brian Kelly will be doing all he can this week to make sure that doesn't happen, but college kids are going to be college kids and we may see some shaky play from the Irish this weekend. 5. How do think the Irish will approach UMass? Colorado flat ran over our asses. Do you think Notre Dame will go run heavy and just try to get the game over as fast as possible? Prediction for the game? I think there will be a big focus on scoring early and often, whether that be through the run game or through the passing attack. I think the coaching staff has a secondary goal of getting as many second string players playing time as possible, and jumping out to a big lead is a part of that. I expect it to skew run-heavy just because of the advantage that Notre Dame's O-line provides, but we'll still see a healthy dose of Will Fuller and Co.
My prediction is Notre Dame 45, UMass 13 following a slow first quarter with no score and a couple of scares from Frohnapfel. Dan Malone has a podcast with Bob McGovern of Maroon Musket about Temple and Notre Dame. Bob McGovern responds to questions from the Irish247 blog. Dan talks to UMass players and coaches about preparing for one of college football's most storied programs. Scouting Notre Dame by the numbers. Blake Fronapfel talks about playing a team he rooted for as a kid. The UMass Daily Collegian says its business as usual for the Minutemen players. Matty Vautour reports Frohnapfel and the UMass players are excited to be playing at South Bend. The NY Post says the Irish won't cover the spread. The Chicago Tribune says the injury jinx for Notre Dame can't continue if they are to be a playoff team. The Sports Bank previews UMass-Notre Dame. Brian Kelley talks about UMass. Keepers College football rankings has the Irish over the Minutemen by 29.72. Victor Cruz is still inactive for the Giants third game. Notre Dame coach Chip Kelley gives Drue Tranquill the game ball after he tore his ACL. Sports Chat Place has Louisiana Tech to cover the spread against Florida International. ESPN is considering layoffs as media landscape changes. Notre Dame has its game notes for UMass up. Jalen Williams was arrested in Amherst. He's currently both injured and suspended from the team. Matty Vautour report on the arrest. UMass is dead last in the nation in rushing. Dan Malone reports Coach Whipple says Notre Dame "really doesn't have any weaknesses". Coach Whipple hopes the Minutemen play better than they did at Penn State. Matty Vautour reports with Tajae Sharpe drawing multiple coverage, UMass wants to get the other receivers more involved. He also says Vanderbilt transfer Larry Franklin has left the team. The Chicago Tribune says the Irish are not overlooking UMass. Bleacher Report looks at the spread and says take UMass and the points. The South Bend Tribune has some questions for Matty Vautour. Fox Sports has Notre Dame as a heavy favorite over UMass. NBC Sports reports Coach Kelly said "These games concern me the most." Notre Dame Insider has a podcast featuring new Irish QB DeShone Kizer and previewing UMass. The Chicago Tribune says the Irish will rely on their offensive line. Blue & Gold has Coach Kelly on QB's and the UMass game. DeShone Kizer focuses on fundamentals. Cleveland.com has the MAC Conference by the numbers after week #3. The Daily Nebraskan says college football is better than the NFL. MassLive has the MAC Power rankings after Week #3. Matty Vautour says the UMass RB situation is still fluid. If you wonder what's going on in the game results poll, a Notre Dame message board linked to the blog and asked it's readers to vote Notre Dame as the 21+ points favorite. Blue & Gold Illustrated previews the Irish-Minutemen game. Notre Dame coach Brian Kelley says the Irish depth chart has a breaking point. The Irish want to avoid the triple-option hangover. Backup QB DeShone Kizer was solid in his first start. Notre Dame climbs to a #9 ranking in the latest AP poll. 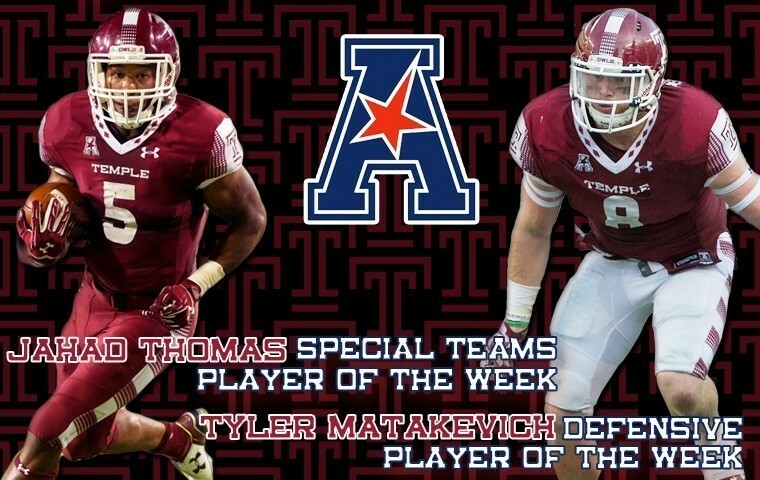 Philly Local has Temple's studs and duds against the Minutemen. Former UMass assistant coach Gerard Wilcher (1997-2000) is coaching at Williams. The Detroit News says the MAC continues to hold its own. USA Today has Ohio as one of the most surprising 3-0 teams. Now that the hangover from the weird events at the end of the Temple game has started to wear off, I'm feeling pretty good about UMass. Since the Minutemen moved to FBS, we've beaten some really bad teams. 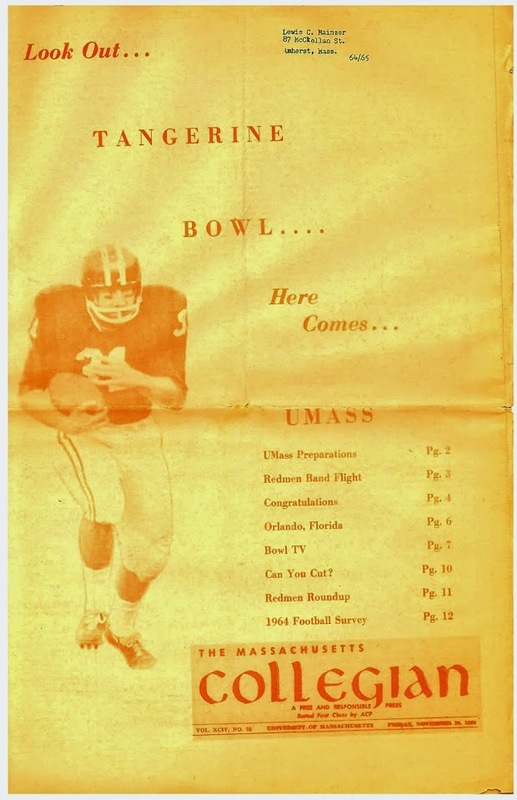 The game against the Owls was the first time UMass was trading punches with a good team. We didn't win, but you know nothing comes easy for us. If Temple is the best in the AAC, then the Minutemen, with Coach Whipple, can play in that league. From Sunday's Berkshire Eagle: UMass finds a new way to lose. Rant Sports says the Owls had a poor game plan against the Minutemen. This article is the result of writing a story without reading the stats. Temple actually rushed 37 times. The UMass defense held the Owls to 1.8 yards a rush, so Temple was forced to throw the ball. Dan Malone has late kicking woes continue to plague the Minutemen. Dan has the Temple game by the numbers. Dan says the Minutemen need to shake off Saturday's loss. The Minutemen open as a 28.5 underdog to the Irish. Dan has the UMass bowl watch. Fox Sports reports Notre Dame can continue to win with DeShone Kizer. Deshone Kizer's Notre Dame bio. Notre Dame Insider says it's all about moving on for the Irish. NBC Sports has the good, the bad, and the ugly from the Notre Dame-Georgia Tech game. From Brian Kelly's Sunday press conference:" (on UMass) They had Temple beat." ESPN says the Irish's game against Georgia Tech raised their playoff chances. Under Dog Dynasty reports Kelton Brackett and other former UAB players continue to make their mark in college football. Out of 114 votes in the game prediction poll, only eight were correct as UMass played the Owls even for the whole game. UMass had some mistakes, but the defense played an inspired game. They had two sacks and two INT's. The Minutemen defense held Jahad Thamas to 65 total yards. He had run all over Penn State and Cincinnati. The UMass had 383 total yards of offense against a Temple defense that had savaged the Nittany Lions and Gunner Kiel and his Cincinnati offense. It was disappointing we lost at the end, but we defiantly belonged and our performance bodes well for the rest of the season. UMass write up with notes and quotes here. Dan Malone says UMass loses in a dramatic fashion. Dan has quotes from Coach Whipple and UMass players. He reports the UMass defense was much improved. Dan has some takeaways from the game. Matty Vautour says a blocked extra point doomed UMass. Tajae Sharpe broke the UMass record as he went 11-156 yards against Temple. He now has 188 career receptions and 2,461 yards. Sharpe has 294 yards in the first two games. If he keeps that up, or even improves it during the MAC section of the schedule, he could approach 2,000 receiving yards this year. Quote from Sharpe: “It’s an honor and a privilege to go down in the UMass history books,” Sharpe said. “I give all the credit first off to Coach Whipple. He’s a great offensive-minded coach and he puts me in position to get the ball and things like that. And also to my quarterback and my whole offense, and for Blake (Frohnapfel) for getting me the ball." Matty says UMass missed a prime chance Saturday. The Daily Collegian says it was a heartbreaking loss. Comcast Sports Philly says the Owls survived a scare at UMass. FIU handled FCS North Carolina Central 39-14. ESPN reports Notre Dame stuffed Georgia Tech. In the MAC, Toledo beat Iowa State, but five league teams lost close games. In New England, BC lost to Florida State and also lost QB Darius Wade for the season. A disasterous last minute fake field goal attempt doomed UConn. 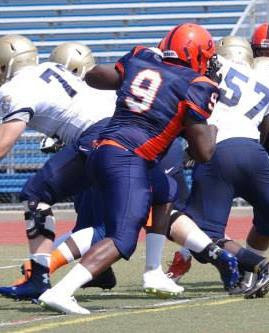 Dan Malone, channeling Maroon Musket report Ali Ali-Musa a 6-2 280 pound DT from Nassau Community College has verbaled to UMass. I've blogged about Ali-Musa before. Ali-Musa had an FBS offer from Buffalo. Well, the weather looks great for Gillette today. High 83 and sunny. Last week we learned we weren't a PAC-12 team. UMass is probably not ready to beat a team who pundits have picked to win the AAC this year--- and Temple has done nothing to show they won't compete for the league title. But I'm goin' and I'm going to enjoy the game. I think the Minutemen will play better this week. Mrs Blog and I went to the Franklin Tech-Mohawk game last night in Buckland. Two of Mrs Blog's great-nephews had good games for Franklin Tech. One ran for 191 yards and three TD's. There were no grandstands on the visiting side at Mohawk. There was a crescent moon and two local high schools going at it. It had a real small-town American feel to it. It was a great time. I enjoy football and I enjoy UMass football the most. Let's get after the Owls. Go UMass! Dan Malone has how to watch or listen to today's game. The game will be on ESPN3. I have Chrome Cast and it works great. It's easy to watch streaming video on my big flat screen. Dan Picks the winners of today's MAC games. Matty Vautour has notes to the Temple game. Speedy FR UMass RB Andy Isabella drew the assignment of simulating Jahad Thomas for the scout team. UMass President Marty Meehan will be the a honorary captain for today's game and will participate in the coin toss. Jesse Allen of Hustle Belt says even if the Minutemen start 0-3, they'll be fine. Michael Traini of Hustle Belt interviews Jake Hyman of Under Dog Empire on the Owls-Minutemen game. Comcast Sports Philly asks if the Owls can avoid a letdown game. Philly.com says Temple braces for another top quarterback. Philly.com also says it's time to grab a seat on the Temple bandwagon. Rotoworld says Blake Frohnapfel will face a huge test against the Temple defense. Florida International is 17+ favorite over North Carolina Central. UMass played North Carolina Central way back in 1979. UMass won 48-7. I was there BTW. ESPN reports Notre Dame changes its game plan because of all the injuries. The MAC conference has 12 televised games this week. first tailgate of the season at Gillette. 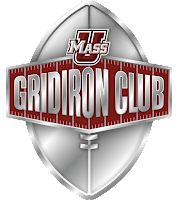 After many months of anticipation, it's time for the UMass Minutemen to return back to the Commonwealth and take the field at Gillette Stadium against Temple on Saturday, September 19th. All members of the Gridiron Club and Football Alumni are invited to stop by the Gridiron Club Tailgate for a pregame tailgate prior to Saturday's game with festivities beginning at 1:00 pm. Feel free to bring your own beverages, food, and participate in a pot-luck style tailgate party. 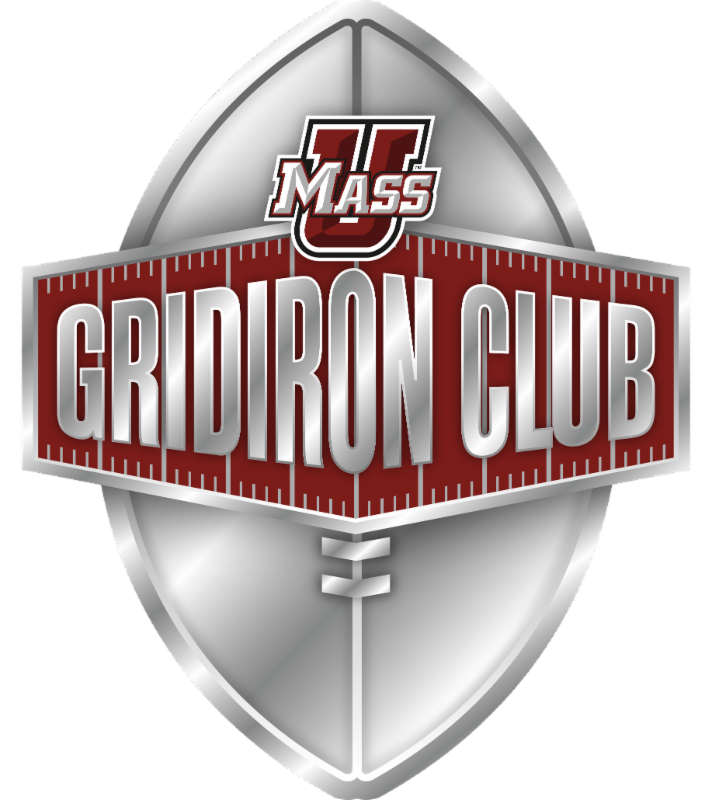 This is great opportunity to meet other Gridiron Club members as well as UMass Football alumni. Look for the Gridiron Banner in Lot 5 near the E2 entrance and we will see you on Saturday. Dan Malone has a podcast with Owlscoop's John DiCarlo. Rodney Mills is not concerned by opening game drops. Dan has three things the Minutemen need to improve in their second game. He has five keys to the game and a final score prediction. Dan says the Minutemen look to regroup. Matty Vautour has the Minutemen and the Owls meet on the gridiron for the first time. Campus Insiders predicts Owls 34 UMass 14. The Boston Herald reports Robert Kitching and the UMass defense look to rebound against Temple. Temple President Neil Theobald will travel with the team to Gillette. MLive predicts Week #3 MAC games. The Chicago Sun-Times has a story featuring Vladimir Ducasse. 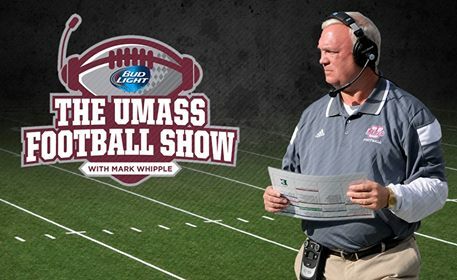 UMass Football Show tonight with Coach Whipple at 7:00 PM. Ryan Bamford announces NESN will televise the UMass Sports Insider Show. Matty Vautour says the UMass defense is eager for a chance at redemption. Jalen Williams will not be able to go against Temple. Dan Malone has scouting Temple by the numbers. Freshman RB Marquis Young hopes to continue to contribute. Young, who didn't get much ink either in recruiting or in camp, looked good against Colorado. Dan Malone says Minutemen defenders want to be more physical against the Owls. The Daily Collegian says UMass will face one of the 2015's biggest surprise teams. Today's U reports Florida International is either good or lucky. CBS Boston talks about Toledo's win over Arkansas and Notre Dame's losing five starters to injury. Notre Dame falls out of USA Today's playoff bowl prediction. Ball State needs to improve its defense. I watched some of the Ball State-Texas A&M game. It was 49-3 Aggies in the 2nd quarter. In two weeks, college football teams have had 185 season ending injuries. In the comments for yesterday's blog, a campus visitor from another country asked for a way to get to the UMass game at Gillette. He has a ticket, but no ride. No one has responded as yet. Anyone know a way for him to get a ride? Can he get a ticket for the student bus? Coach Whipple says Temple is the best team we've played since I've been here. UMass is back in CBS' "Bottom 25". Dan Malone has the Minutemen injury report for the Temple game. Matty Vautour reports the UMass offensive line prepares for the Temple pass rush. Temple has their UMass game notes up. The Owls are in uncharted waters as a road favorite. Jahad Thomas ran with his opportunity. Football.com says the Owls are not getting enough credit. Temple players have vowed to stay focused. Owls players were not happy with Cincinnati's comeback. Keepers College football rankings has Temple by 7.49 over UMass (.htm download). Florida International is offering free tickets to their game with FCS North Carolina Central. Campus watch says the MAC had some quality wins last weekend. The injury bug is hitting Notre Dame hard. The Irish open as a rare home underdog to Georgia Tech. The News Sentinel says Norte Dame's injuries are just bad luck. UMass has its game notes for Temple up. The line for the Owls-Minutemen game has widened to 13 points. UMass takes a big drop in the MAC power rankings. Dan Malone has excerpts from Coach Whipple's MAC teleconference. Dan reports no changes in the two-deep for the Temple game. Matty Vautour says there doesn't seem to be any weak spots in UMass' schedule. Philly.com says Temple won't take the Minutemen lightly. The Sports Chat Place previews the Minutemen-Owls game. Tyler Matakevich and Jahed Thomas were the AAC defensive and offensive players-of-the-week. The Owls are the top team in "others receiving votes" in the AP top-25 poll. Today's U reviews the MAC conference after week #2. The Detroit News says the MAC had a big week. If you missed it, Kent State kicker April Goss became the second woman to score a point in college football. A Kentucky student is charged after crashing a drone into the school's stadium on game day. We did have a few positive things happen in Boulder. Tajae Sharpe had a big day (11-138 yards). UMass had receivers open most of the first half. The Minutemen also had good looks at a number of new players as a whole bunch of redshirt freshman made their debut. The first-time Minutemen were Jarell Addo, Kelton Brackett, Ross Comis, Sharif Custis, Larry Franklin, Jordin Hamilton, Dan Jonah, Jake Largay, Connor Lemieux, James Oliphant, Joe Previte, Jeremy Rodriguez and Marquis Young. Brackett (UAB) and Franklin (Vanderbilt) have NCAA Division I FBS experience prior to transferring to UMass ahead of the 2015 season. Marquis Young looked like he had good speed to go with some shifty moves. He went 7-62 0 LOSS 8.9 AVE.
Dan Malone looks behind the numbers at Colorado. Dan also reports what I said here yesterday: Frohnapfel looked rusty. Dan looks at the Minutemen's bowl watch. Dan says it's too early to draw any conclusions about the Minutemen. What he says is true about the Minutemen's whole OOC schedule. Colorado at Boulder would be a tough draw for most Group-of-Five schools. We seem to have a knack for running into teams having their best season in years. Remember Texas Tech with Michael Crabtree? Maine had their only CAA championship in 15 years in 2013. And this year Temple beats Penn State for the first time since the Wisconsin Ice Age. Notre Dame is being touted for a playoff birth. Matty Vautour looks at UMass' play at Colorado. Philly.com says two big wins give Temple fans a reason to dream. Temple RB Jahad Thomas has run for 332 yards in two games and also has a 102 yard kick return. The Westside Gazette says FIU is legit. Brian Kelley believes the Irish can play for the National Championship. Notre Dame moves on with DeShone Kizer as quarterback.